Here you'll find a list of hotfixes that address various issues related to the recently released World of Warcraft patch 5.2. Hotfixes are updates we make on our end without requiring you to download a new patch. Some of the hotfixes below went live the moment they were implemented, while others may require your realm to be restarted to go into effect. Please keep in mind that some issues cannot be addressed without a client-side patch update. We will continue to update this list in the days to come as additional hotfixes are applied. Icy Talons now increases attack speed by 30% (was 25%). Might of the Frozen Wastes now increases melee attack damage by 20% (was 15%). Threat of Thassarian now increases the damage of Frost Strike by 50% (was 40%). Stance of the Fierce Tiger now increases the damage done by 10% (was 20%). 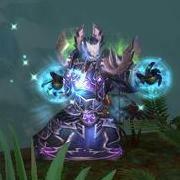 Mistweaver Monks no longer favor non-caster weapons with higher DPS on damage calculations for abilities that are based on weapon damage. Muscle Memory is now automatically learned at level 20 (was level 65). Templar's Verdict should now work properly with Seal of Justice. Holy PvP 4-piece set bonus no longer causes Eternal Flame to generate a charge of Holy Power. Atonement healing granted from critical strikes now heal for the correct amount. Shadowy Apparitions will no longer pursue targets that are actively stealthed. Assassin's Resolve now increases the Rogue's damage by 25% (was 20%). Fire and Brimstone version of Incinerate now deals the correct amount of damage. Shadowburn now properly generates 2 Burning Embers after killing a target that yields experience or honor. Fixed an issue where quest items could drop less frequently than intended. Players should now be able to speak with Waterspeaker Goria to complete the quest, "The Ritual". Shapeshifted players should now be able to use Lightning Rods when fighting Electromancer Ju'le. Risen Ancestors spawn rate has been increased. Sleep effects should now break properly when a pet is attacked. Living Sand now has 15% less health. Sunreaver Beacon and Kirin Tor Beacon no longer share the same cooldown. Work orders to plant a crop no longer award gold.